This will allow players to customize their forces by picking and choosing from a plethora of Unit Boxes, both Faction and Neutral, at a much lower cost than had been planned. Additionally, the pricing of Faction Starters - the first of which will be the Night’s Watch Starter releasing on November 30th - represents a significant discount off the units and accessories contained therein, and provides a low barrier to entry for players looking for an alternative to the Stark vs. Lannister Starter Set. 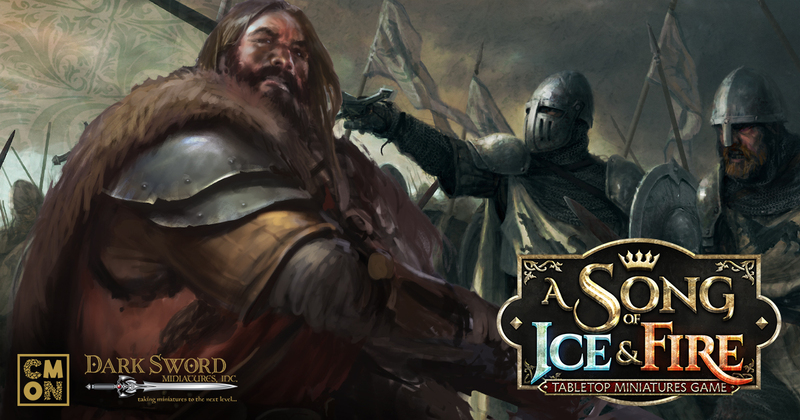 As the War of the Five Kings begins to unfold with the release of the A Song of Ice & Fire Tabletop Miniatures Game: Stark vs. Lannister Starter Set, we look ahead to the future of the game. Battles will rage across the fields of Westeros and Essos in the months and years to come. New warriors will answer their lord’s call to arms, and houses great and small will face both victory and defeat!